Four kittens, one mystery… Animal magic from the author of The Hundred and One Dalmations. 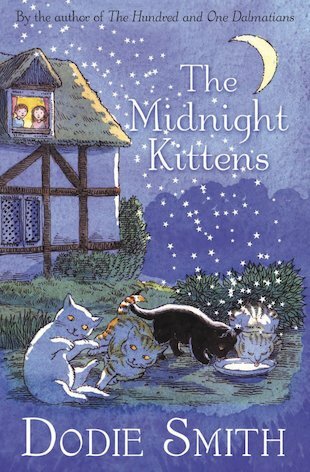 Orphaned twins Pam and Tom are staying at their granny’s house one summer when they spy four kittens on the stroke of midnight. Appearing out of nowhere, the kittens drink the milk that the twins have left out for the hedgehogs. Then they vanish again. The trail of the mysterious little cats leads the children into a magical adventure centred on the dilapidated Freke Hall. What is the kittens’ strange link to the past, and to a hundred-year-old lady? A purr-fect tale of mystery and magic.